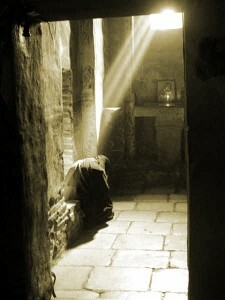 A Monk’s life should at all times resemble a continual Lent, but few have such virtue. “Is it Lent, again?” whines a rather delinquent monk in the 1985 film Ladyhawk. He is much-relieved to discover that it was not, and that meat was potentially on the menu for the week. We, however, are not so lucky. Lent begins on Wednesday and, as a general rule, some form of self-sacrifice is strongly encouraged. Such self-sacrifice simultaneously reminds us of Christ’s Via Dolorosa, our own earthly pilgrimage, the need for self-sacrificial living and our eternal destination. For us, Lent is a reminder. On the other hand, for the Monk, Lent is a rule. It is, in fact, THE RULE. The monk is called, challenged and (if truly called) charismated to the task of self-sacrifice. 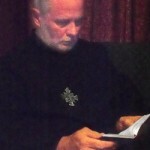 The black cassock of our Benedictine friends is not simply plain garb, but, rather, is a robe of perpetual repentance and the portal of penitential prayer. But Saint Benedict is a realist. He understands that “few have such virtue.” Recognizing this, in Chapter 49 of the Rule, he “encourages everyone during Lent to live in all purity, and during this holy season to wash away all the negligences of other times” (Emphasis mine). In short, our father Benedict suggests that we, by God’s great grace and mercy, give ourselves a thorough spiritual scrubbing. Purity, especially at this time, is to be rigorously and patiently pursued. 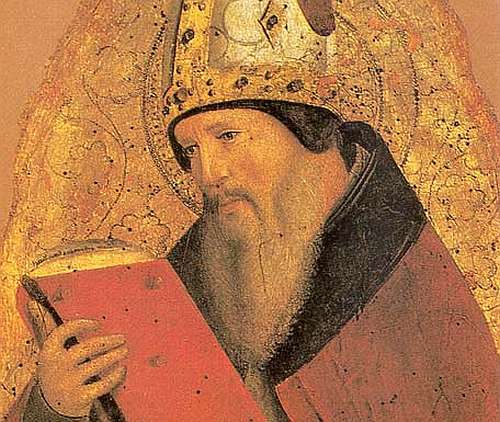 And Saint Benedict, thankfully, was also a pragmatist— in the best sense of the word. Urging abstinence and virtue, he provides the Monk and “everyone” with some very practical tips. He shows us what abstinence and virtue (or abstinence toward virtue) looks like. He shows us what works. Wow! Joy of the Holy Spirit! I bet we rarely think of Lent as even mildly pleasant, let alone a time of happiness or joy. It is often the horrific cry, echoed by the Ladyhawk monk, “IS IT LENT AGAIN?” Yes it is. And yes, it IS a joy. But it is JOY IN THE HOLY SPIRIT. Sacrifice without the Holy Spirit is little more than self-justifying action. It is Babel. With the Holy Spirit it is Tabernacle and Temple. It is Basilica and Cathedral. We may indeed deny ourselves, according to the Rule, “food, drink, sleep, talk, [or] laughter” as we “await the holy feast of Easter.” But let our abstinence be guided and governed by God. And, if we can think of nothing else, pluck the weed of slander and gossip and plant the seed of mercy, patience, and kindness. Or, if this is too much, exercise consistent mercy. 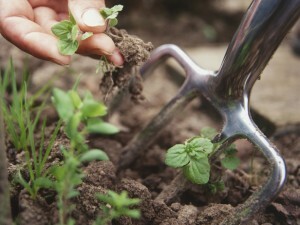 Or, if this too is too much, ask God to plant in us the seed of great sorrow for our sins. Finally, St. Benedict tells his readers to inform the Abbot of the decision they have made. For those of us outside of the monastery, whether Oblates (like me) or committed Christians, tell someone you trust about your plan for Lent. Let a mature person you know be aware of what your intention for Lent is. What we “intend to offer” should be made circumspectly known. This keeps us honest. 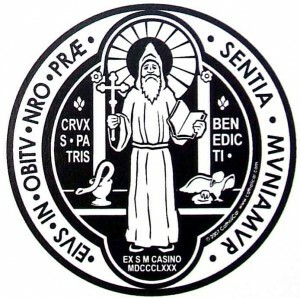 The Rule of Benedict (RB) tells us that we “ascend by humbling.” One translation of the RB, referenced in the Saint Benedict’s Prayer Book, says that we “ascend by descending.” Although this statement is appropriate to any monastic endeavor, and is the pattern of growth for every Christian, this ascent by descent is most appropriate to the Ladder of Humility as found in RB 7. Those who want to “grow up” in Christ must experience and embrace the humiliations it requires to attain such a lofty ambition. Growing down is growing up. Pride exalts itself. It is haughty in its intention and its actions, neither considering God or boundaries appropriate to the human condition. Intending to be “like God,” Adam and Eve took of the forbidden fruit. Similarly, assuming that his very best was “good enough,” and rejecting God’s blood-oriented pattern, Cain submitted to God and unacceptable offering. Moreover, instead of obeying God’s directive to disperse, people gathered at Babel and sought to dispense with fear by constructing their own socio-psycho-pneumatic towers of defense. The biblical list is endless, replete with examples of those whose pride led to destruction. Adam’s, Cain’s and Babel’s pride each led to expulsion: Adam from the Garden, Cain from society and Babel from unified culture and communication. Seeking to ascend, but on their own terms, they were cast down and out. This prideful and grasping intention is not foreign to humanity. It is inherent to “Man,” and his motivations and movements. It is not simply the preserve of those whom we might consider proud, but, rather, the proclivity of all people. Saint Benedict’s answer to this problem is threefold, and is found in the first few paragraphs from the RB 7. Benedict’s first answer is SUBSTITUTION. Those who seek to be humble must learn to sit (rest) in the certainty of God’s mother-like care as a “weaned child.” This is not easy to do. Weaning is not in most cases a pleasant experience. When children are weaned from their mothers they often fuss. Similarly, when we are weaned by God, when we must grow up, we often are inclined to “busy” ourselves with “great matters.” That is, in other words, we seek to quiet our discomforts with distractions. Instead of this, the RB urges the disciple to substitute busy-ness with rest, distraction with discipline and sublime thoughts with a stilled soul. 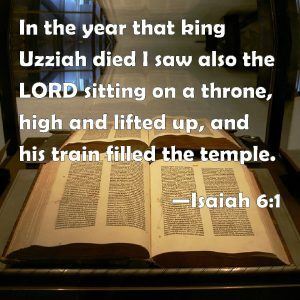 In short, although just a beginning, he exalts being over doing —- at least until we set our priorities straight. Benedict’s second answer is STILLNESS. “I have stilled my soul,” the author writes. As with substitution, stillness is also a hard discipline. It requires, according to the RB, “hushing” ourselves. I am sure that many adults are familiar with, as young people, having to be “hushed” by their parents. Often this imposed silence was because the parents were engaged with adult conversations or activities. As such, if the children were not “hushed,” they would be a disruption. In RB 7, this “hushing” is a self-imposed discipline of discipleship that simultaneously heightens silent listening and halts disruptive distractions. The “hushing” of the soul insists upon creating a space where peace and centeredness can be cultivated. Finally, Benedict asserts that we STRUGGLE with and up the true ladder of success. He refers to this as a ladder of “ascending actions” which we must ourselves both construct and ascend. The RB insists that “lowliness” or “humility of heart” is the means by which we ascend. This is, even before the “first step” of humility, God’s work (“by our Lord”) and the task to which we are fitted by the “Divine Vocation.” As such, because God orders our days well-before they occur, our human vocation is found in humility. We ascend to the Divine Vocation by descending into the human vocation for which we were formed. The supreme example of this is Jesus Christ who became poor so that we might be rich, who descended so that we might ascend. Historically, before the invention of movable type (the Printing Press), monks memorized massive amounts of the Bible. 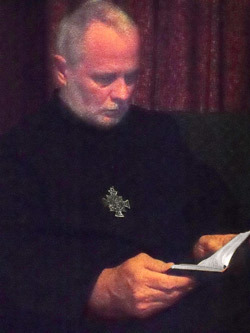 Understanding the importance of scriptural meditation and memorization, Benedict both demonstrated and prioritized this discipline in the RB 7. 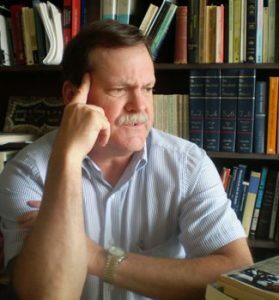 Referencing “Learning the Psalms and other readings,” Benedict clearly asserts that the text should be memorized because, especially in the 6th century, books were rare. Memorization was imperative. Appreciating this literary scarcity, and Benedict’s remarkable skill with recalling and relating the Sacred Text, contemporary readers will likely be amazed. His familiarity with Text, especially in varied contexts, is truly astounding — and worthy of imitation. Given these things we can only assume that Benedict consciously and deliberately reversed the sanctioned order of Divine Revelation stated in Genesis 28:12. In the Genesis text, angels were “ascending and descending.” In the RB, the angels were “descending and ascending.” This represents a substantial shift in revelatory and theological emphasis. I can only assume, based upon Benedict’s sanctity and enduring legacy, that the saint knew exactly what he was doing — and why. Considering that this change occurs within the context of Benedict’s insistence upon humility, there are at least two interrelated reasons why he imposed this grand reversal. First, those who pursue humility must descend. As stated above, we “ascend by descending.” The example of the angel, and of Jesus Christ himself, is that they descended into our need. The angel descended upon Jacob to assist him in his need — and, of note, assisted him in a need that was self-created and self-sustained. Our Lord descended, in great humility, to assist us in our own self-created and humanly inherited need. Christ’s descent into the waters of baptism preceded his justifying elevation and sanctifying ascension. Consequently, in keeping with angelic and Christo-centric witness, we too must descend. As well, the angelic descent also highlights how very needy we are. God is always with us in our deepest and our darkest need. His descending and ascending, his ascending and descending, occurred and occurs well before the conscious awareness of our need. As Scripture states, before we call God has answered. We cannot ascend the ladder of humility on our own. Like Jacob grasping at the blessing, truly his but unfaithfully sought, we too can only ascend by receiving the assistance of the descending angel (Christ himself). He lowers himself in order to lift us up. In both cases, Benedict’s reversal of the text is wise. Humility requires humiliations. Only Christ, the Descended Angel, can assist us in our need. Only the Holy Spirit, the Dove descended, can empower our impossible venture into impossible virtue. The descent of God enlivens the ascent of those who are God’s own. With the angel, we must descend before we ascend. Our Father Benedict’s first step up the ladder of humility is the “fear of God.” This emphasis, echoing Solomon, is truly the beginning of wisdom and exists within a set of commandments, considerations, contempt and cautions. Each, like the ladder’s structure, offers firm footing for the pursuing pilgrim. Lest we forget that God calls us to certain ascending actions, we are also challenged to certain considerations. That is, it is not just God’s work. We too are called to inspired actions. These are of contempt and caution, and have both attitudinal and behavioral applications. We are to have contempt for all those things that distract from God, and we are to cautiously yet committedly pursue him, through humility, up the ladder of holiness. Remembering, recognizing and recollecting are critical to this ascent. Benedict calls us to never forget (negative), and always remember (positive) the dangers of this first step of humility. Forgetting inevitably results in falling and failure. Forgetting is, in fact, fatal. 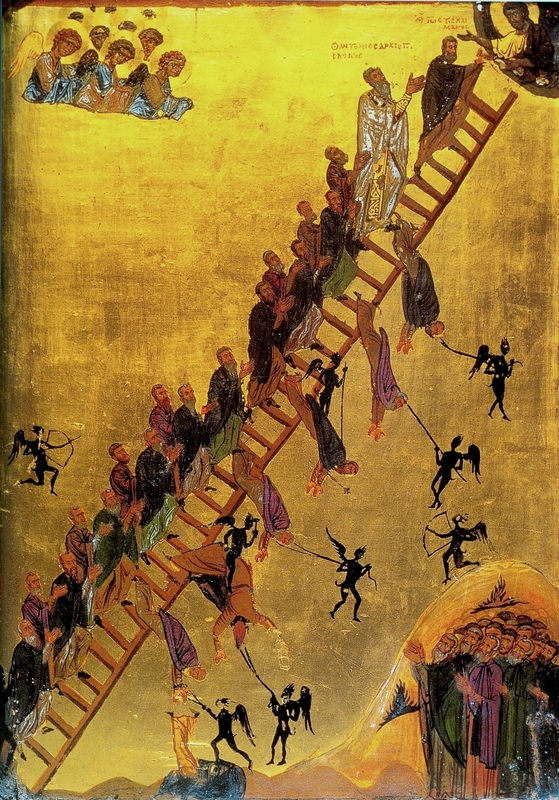 An examination of the icons related to John Climacus’ ladder, some of which are located at Saint Catherine’s Monastery in Egypt, graphically illustrates these dangers. Failure to remember incites demonic temptations and torments. The upward ascent is a necessary but dangerous enterprise. Accomplishing God’s will, doing God’s will in God’s way, draws demonic attention. Humility requires spiritual warfare. Embracing the fear of God, and resisting false fear, is a firefight. 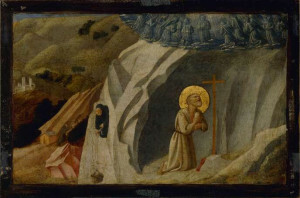 As well, we must recognize that God is “looking down…from Heaven.” Again Benedict asserts that importance and assistance of God on this journey. We are not alone. God initiated. God inspires. God empowers. Nevertheless, in spite of these graces, we must turn our minds (“thoughts”) toward God, as God is perpetually and eternally inclined toward us. We are to recall Scripture in resisting “evil desires.” Our scripturally-informed recollection considers both death and delight. As Benedict writes, “death sits close to the entrance of delight.” The reader is reminded of the proverbial reference about a man seeking a dangerous liaison. 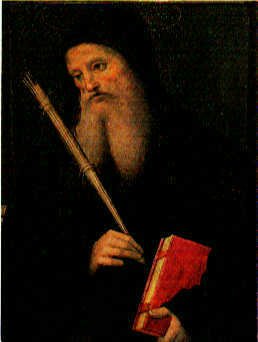 As such, Benedict sees the dangers as a temptation to spiritual adultery. Recollection is therefore a guard. When we recognize the death inherent to illicit delights, as disorders of priority and passion, it causes us to hesitate — to resist. The potential of immanent and eternal death, graphically depicted in the Climacus icon referenced above, helps us resist and renounce the delights of the world, flesh and devil. Let us remember that we are on a ladder. Let us recollect ourselves, appreciating that just as in the physical world a fall may be fatal, so also fatalities may occur during our spiritual ascent. Adam and Eve’s fall impacted all. Their death in some way impacted everyone everywhere. In short, Benedict suggests that ascending humility requires that we “go not after [our] lusts” but, rather, pursue our Lord. We must not be distracted. The fear of the Lord is the beginning…middle…and end of wisdom. The Descending Angel becomes most obvious and necessary in Steps 2 – 3 of the Ladder of Humility. Here Christ descends and attends to our deepest need: Renouncing our own wills and submitting our self-inclined ways (indeed our very selves!) to a Superior. We cannot do this on our own. Far too frequently we insist upon our own will and our own way, militantly resisting the insights and assistance of others. We do not want a Superior because we all too frequently feel superior. And yet, with Thomas ‘a Kempis, we are wise when we believe that is better and safer to be under properly established and spiritually mature authority. Benedict anchors our efforts in “constraint.” “Constraint wins the crown,” he writes. This calling and challenge of constraint is both galling and graced. It is galling because we must not only DENY ourselves (which is hard enough); we must also DELIVER ourselves into the care of a Superior. This is a hard climb up an impossible ladder, again reflecting the humiliating discipline of stepping up by stepping down. Honor is in humility. Holiness is in humiliations. But this surrender is also graced. Benedict, in the third step of humility, swiftly identifies our actions with those of Jesus Christ himself. We share in Christ’s sufferings and, as such, in some small way, their salvific implications (cf. Phil. 2: 8 and Col. 1: 24). In other words, our submissions and humiliations are so identified with Christ that his ascension is our own. Let us therefore recall the words of St. Paul: Those who die with Christ will also rise with Christ. When we sip the gall of proper submission, we are empowered to sup the grace of sanctification. 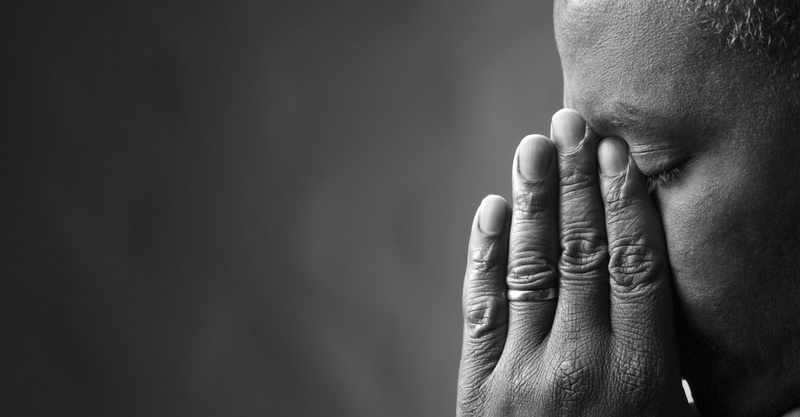 It is easy to give in when we experience hardship. The human inclination, except when imbued with higher purpose, is to surrender when encountering struggle. In fact, even with higher purpose, sloth sits on our “doorstep” seeking an opportune time to weaken us with weariness. The progress of the pilgrim is frequently visited by despondency. This temptation to give way, give in and give up takes on an entirely different meaning in the specific context in which Benedict wrote about it. We expect “contradictions” from the world. We expect “contradiction” from a society and culture that rejects Christ, Christianity and its values. Such abuse is anticipated. But these “contradictions” are not expected from the Church of God. What is difficult and most galling is the “contradictions” of those who are, by appointment, spiritual authorities and spiritual family. When family is Judas we experience Gethsemane. When a spiritual superior behaves as a spiritual inferior, when power is abused or insight is seriously lacking, this feels like crucifixion of the lowest order. The forth step of humility, being obedient when things become hard and contrary, is squarely planted in Golgotha’s blood-baked soil. It is a parched place. We do not live in an ideal world. We do not live in an ideal church. We do not live among ideal people. Pristine people are a figment of the overstretched imagination. We live in a real world with real people who have real problems. “Contradiction” is the norm in a broken world, even a broken world of “good” people who seek to do the right thing. “Contradiction” is the norm of the Church. The Ladder of Humility expects the pilgrim (on h/er long and arduous journey) to “bear all things” with a “quiet conscience.” In fact, quoting the Apostle, we are to bear…believe…hope…endure all things for the sake of Christ. In this context – the context of the monastery, the parish, and the Christian life – it is not a matter of “justice,” but the fruit of justification that leads to sanctification and glorification. The person who desires to be holy must be prepared to suffer. Sanctification requires sacrifice and suffering. Although every degree of humility has direct impact on prayer, it is in the fifth degree that this becomes most apparent. Here the monk is to “hide nothing” from the Abbot, who is to be treated as the Father of the enclosure. Nothing is to be hidden from the Abba, everything is to be confessed. But there is more. Benedict emphasizes “humble” confession. This expectation forces the penitent to confront not only the problem, but, as well, the utter poverty of the one who makes confession. The penitent therefore acknowledges guilt (problem) and shame (person). The very core of human nature is, therefore, addressed. Benedict seeks, by emphasizing “humble” confession, to remove any and all pretense from the penitent for the purpose of prayer. Given Benedict’s exacting expectations, biblical expectations, we have no other choice but to “commit our way [and words] to the Lord.” We cannot do it on our own. We need God. Our person, penitence, repentance, reparation and petitions are entirely in God’s hands. “Humble” confession acknowledges our abject poverty of spirit, thereby placing ourselves entirely at God’s disposal. Penitential impoverishment, the need for “humble” confession, is foundational to prayer. The kingdom of heaven is opened to the utterly poor of spirit. Steps 6 – 7 discuss the philosophy and practice of humility. In keeping with Benedict’s rootedness in real life, the crucible for this particular form of conversion is the community. The person who wants to advance in the degrees of humility, ascending the angelic ladder, must be “content” with the most miserable of treatment and most menial of tasks. Given our understanding of modern psychology, this will appear dysfunctional and dangerous. Benedict and the early Mothers and Fathers of the desert, however, also had profound insights into socio-psycho-pneumatic health. This is evidenced in three constellating ideas regarding abjection: The monk (1) consciously chooses this path on the basis of (2) critical awareness of the need for humility that is rooted in the (3) absolute assurance of both (a) divine assistance and the (b) dangers in a refusal to grow. In other words, radical need requires radical action. We resist such labels and lowliness. Nevertheless, if we think of ourselves as abject worms, we will have no problem being treated as the lowest and associating with the low. Jesus called his disciples “fishers of men,” and, as we know, worms catch fish. Humility, often mitigated through humiliations, helps us identify with all those who are marginalized and rejected. Those who are most abject are also, quite often, most available. The eighth degree of humility, do nothing but what is common, reinforces Benedict’s previous point and in many ways is far more exacting. While our exemplary humility will attract attention, we must do everything within our power to see that it does not. We must not draw attention to ourselves. Our efforts must be in secret — attracting the attention of God alone and entirely seeking God’s reward. Secret and silent sanctification is what we seek. Jesus, upon illustrating the same point in the Sermon on the Mount (Matthew 5 – 7), says that our gifts and our prayers should be in secret. Alms should be in secret. Fasting should be in secret. Prayer should be in secret. No one should know. We simply live (or live simply) in a common community among common people living common lives of uncommon, yet secret, devotion. Those who seek sanctification should not herald their efforts, but, rather, they should hide their efforts. Secrecy requires silence. Consequently, the orientation of the eighth degree (secrecy) is evidenced in the ninth degree (silence). It is far too easy to exalt ourselves, to assert our authority, education, knowledge, abilities, grace, growth — our will, works and ways. We most frequently exhibit ourselves through verbal and visual means. Our tongue is like, according to Solomon (although properly used in his case), “the pen of a ready writer.” And how very quickly we want to publish our own praises! We are swift to speak and swift to show, but sinfully slow to silence. This of course also means that we are slow to sanctification. Visual exhibition, addressed in part in the previous degree (secrecy), must not be overlooked, either. We all at times want to show what or who we know. Sometimes these exhibitions are publicly sanctioned such as when a pastor wears an academic gown that bears three bold stripes (chevrons) announcing h/er educational standing as “Doctor.” Other examples of exhibitions are abundant. If we have “achieved” something we want to show it. Benedict provides poignant insight about why we should refrain from such verbal and visual speech, drawing no attention to ourselves. First, as stated earlier, sanctification is sought and secured in secret. No silence and no secrecy suggest no sanctification. As well, secrecy and silence supports the RB’s wise emphasis, “do not appear to be more holy than you are.” Sanctification is not about appearances. Slanderers, according to Benedict and the Bible, will not survive. They cannot ascend the ladder of humility, achieve any degree of holiness or be sanctified. Why? First, slanderers set themselves against the divine economy of humility. Jesus was impoverished for our wealth. 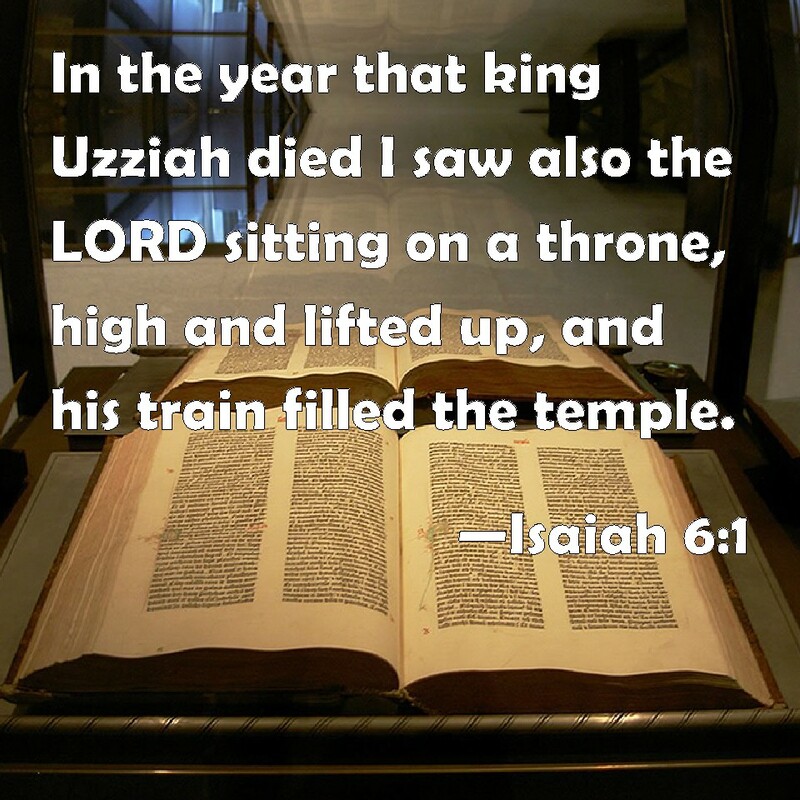 He humbled himself for our (proper) exaltation. Second, slanderers set themselves against humanity. Asserting self requires, even in some small way, deserting others. Finally, slanderers stand against h/erself. As such, the person who seeks sanctification must willingly submit to auricular castration. Steps 10 – 12 continue Benedict’s emphasis upon silence. Centering upon this priority, at least until spoken to, he now capitalizes upon our need to refrain from laughter (Step 10), speak discreetly (Step 11) and show humility (Step 12). 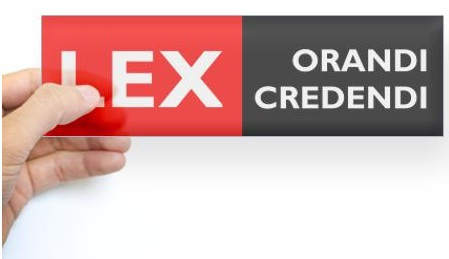 The final emphasis serves as the interpretational priority: Show it, don’t just say it! Benedict has been steadily advancing in this direction, and this is entirely reasonable. Declaring is only as effective as demonstrating. If we declare without demonstration we are hypocrites — or in need of radical re-evaluation and re-adjustment. Although humility is grounded within the heart, it demands the decisions and disciplines of holy fear, instant obedience, steady silence and an abundance of humiliations if it is to effectively ascend through the degrees of humility. We come again, as with the “descending angel” referenced above, to a reversal in what appears to be sound theological principles. As with the descending angel, Benedict also asserts that our ascension results in our arrival at the love of God. Put bluntly, if we ascend we will be loved. This is a radical reversal of St. John’s “we love because HE FIRST LOVED US.” That is, according to John, the love of God is received — not achieved. It is a result of God’s descent, not our ascent. A far more cautious consideration of this text in the RB may be required, however. The RB was written within the context of a community of God’s children, cloister and Benedict. With this in mind, the efforts expended upon ascending the degrees are little more than expressions of a pre-existing set of relationships. The Prologue clearly suggests this pre-existing set of relationships. Chapter One addresses a unique community committed to God and each other. In Chapter Two the concept of the Father, the Abba, Abbot or Superior, the human reflecting the Divine, is explicated. Similarly, Chapter Three addresses brothers [and sisters]. These, in Chapter Four, are given “instruments” or “tools” for constructing a Christian communal life. Christian growth, especially regarding humility, requires grace and vigilance. We must, according to Jesus, “watch and pray.” Saint Benedict did not place so much emphasis upon humility as an end in itself. Although humility, as beginning and as end, may be “achieved,” it is achieved to a purpose. The purpose is prayer. All life begins at night. As Holy Scripture tells us in the Genesis narrative, evening is the beginning of creation (Genesis 1: 5, Knox). Similarly, evening is the beginning of prayer. It is, as well, the beginning of any true growth in God. We begin in the darkness of our own sin and separation. We begin with our need, our poverty and our mourning — which is, of course, a morning of a new day in Christ and with the community of other Christians. Life is a vigil that requires the vigilance of prayer. Humility drives us to our knees and into the arms of God and each other. Image above right: The Ladder of Divine Ascent. 12th century icon (St. Catherine’s Monastery, Mount Sinai). The Rule of Benedict (RB) is precisely the word that we need. It provides God’s children with an outline of obedience that leads to practical holiness. 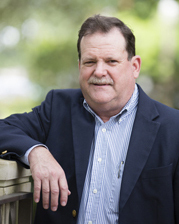 It does this by issuing a call, providing a context and establishing a college. These, rooted as they are within the considerations of living in and as a community, help every committed Christian achieve her or his intended purpose. Echoing Solomon’s Proverbs, Saint Benedict heralds his Rule with the oft-quoted word LISTEN. “Listen carefully,” he writes (RB, Prologue, Saint Benedict Press, 2007). The wisdom of God is found in carefully listening to God. God’s words are our wisdom and our way. Careful listening, according to the RB, has at least three very practical applications. Those who want to be holy must “turn” (RB, Prologue). We must, according to Saint Benedict and Holy Scripture, “turn the ear of our heart.” As such, Benedict calls us to a change of heart. We are called to radical interiority. According to him, change comes from the inside-out, and not from the outside-in. However, we cannot change our heart. We cannot, on our own initiative, “turn.” We must recognize, as did the old Shaker hymn, that turning is a gift. The ability to turn is, in fact, a gift of God. And the very good news is that this interior change is prompted and empowered by a relationship with God. As one of my teachers repeatedly said, “God’s command is God’s enabling.” We are God’s children and, as such, we can change. In this context, therefore, obedience is inwardly generated and not outwardly imposed. It is not an “I must” but an “I want” and an “I will.” This is a great gift. As well, those who want to be holy must “practice” (RB, Prologue). Hearing + Heeding = Holy. 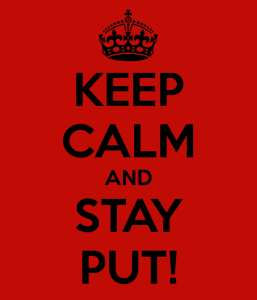 The practice of this advice is “labor.” It is, properly understood and applied, war (RB, Prologue). To be holy is to “fight for our true King, the Lord Christ.” Turning opens the mind. Accepting enlivens the heart. Practice engages the hands. “Blessed be the Lord my God / Who trains my hands for war and my fingers to fight.” As such, the practice of obedience is established upon the priority, principles, practice and power of prayer. The rule of prayer is the rule of both belief and behavior. Listening, accepting and practicing are prayer-as-perfection-in-community priorities. The context of Saint Benedict’s appeal is issued within a set of intersecting relationships. We have a relationship with God. We have a relationship with Holy Scripture. We have a relationship with Benedict. We have a relationship with the Rule — and, in fact, other Rules upon which the RB was composed and compiled. These relationships, and the very concept of relationship, are indispensable to liturgy (the work of prayer) and living. There is, however, at least one other relational context that is clearly and forcefully referenced. Community is the context of obedience. It is the cathartic way and means by which we grow in practical holiness. How is this accomplished? It is accomplished through God’s grace and the practical expectation of Benedictine “stability” which enlightens and empowers prayer. It is accomplished, again by God’s grace, by stability within the (at times) unsatisfactory society of saints. Our society, and often our churches, resists stability. Church-hopping and church-shopping are commonplace. If we do not like the pastor, we change churches. If we do not like a particular theological nuance, we leave. If the worship does not provide us with the “feeling” we are looking for, we jump ship. If the community is not “seeker sensitive” – with a coffee bar, bookstore and smoking lounge in the lobby – we feel deprived. If people are not “nice” or “too nice” or are “not our kind,” we resist or refuse relational commitments. We do not seek stability – the grist of change – we want stimulation. Stimulation, however pleasant, does not result in sanctification. Saint Benedict, living as he did during a time of great and unremitting upheaval, clearly understood our wandering propensities, relational proclivities, cultural climate, and the difficulties we all face during times of challenge and crisis. This is precisely why he emphasized stability in community. For Benedict this was just not a social need (which it certainly was and is), but a spiritual imperative. If we are going to successfully resist being crafted according to cultural norms, we need a counter-cultural answer. This answer is found in the Rule of Saint Benedict. Benedict’s call and challenge to his children is a “here” and “now” imperative (RB, Prologue). He requires saintly stabilization for the process, purpose and power of sanctification. He tells us to “stay put” in order to “grow up.” His stabilizing “voice” is, especially in our society, radically counter-cultural. (And, thankfully over the past number years, more people from many different denominations and walks of life are embracing “intentional community”). Community is the catalyst of change. Relationship is the critical resource for revival. I am now an aging “hippie.” My adolescence was shaped by the priorities, principles and practices of the counter-cultural revolution of the late 1960’s and very early 1970’s. Unfortunately this radical reorientation occurred at a time when I did not enjoy the stability of church life. As such, and in very short order, I became indiscriminate and disoriented. Not only did I embrace the concepts of human and civil rights, of “liberty and justice for all,” of peacemaking, I also became involved in a number of destructive counter-cultural activities that compromised my socio-psycho-pneumatic health. Dereliction, depression and despair began to dominate my life. Two very unfortunate drug-experiences, along with a hearty “Lord, save me,” shifted the entire direction of my journey. This journey largely began about a year after the “two very unfortunate drug experiences” referenced above. I went to college; but not just any college. The first college I attended was biblically faithful, grounded in community and functioned like a monastery. Although it technically did not have an Abbot, Prior and monks, in almost every way this college was structured as if it did. Its substance and standards were monastic. Prayer and work were emphasized. Obedience was not just suggested, it was mandated. It truly was a “school of the Lord’s service” (RB, Prologue). 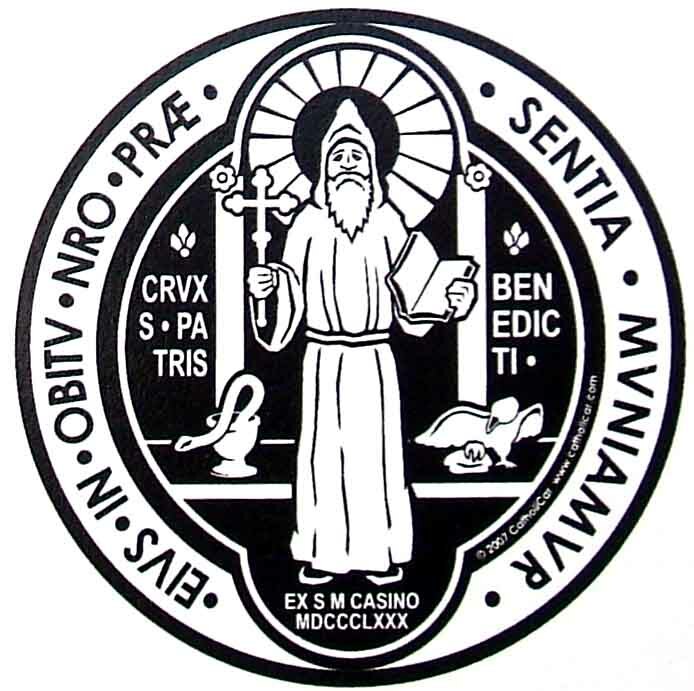 It is to be noted that Saint Benedict’s Rule begins with (RB, Prologue), and is immersed in (RB, Chapters 8 – 20), prayer. This foundation of prayer is for the purpose of perfection (cf. RB Prologue, “amending our ways” and RB 73, “loftier heights…of virtue”). This occurs within the college of an obedient and stable community. A VERY swift analysis of Benedict’s prayer-as-perfection oriented agenda insists upon a community for prayer (Prologue and Chapter 1), a captain overseeing the community of pray-ers (Chapter 2), a parenthetical council by which prayer and community are governed (Chapter 3), the characteristics or prerequisites of prayer-and-perfection-in-community (Chapters 4 – 7), the calling and crafting of prayer-as-perfection (Chapters 8 – 20) and, with a few exceptions, considerations for continuing as a community committed to prayer-as-perfection (Chapters 21 – 73). The “school” was and is the community, and the “service” was and is prayer. These, structured as they are in the RB, are the path of perfection. I must conclude with the essential curriculum of Benedict’s college of obedience, and it will be properly assumed that the curriculum is prayer. And, of course, on some level, it is. Nevertheless, the RB provides two very pronounced particulars about prayer-in-community-as-perfection. These are found in Chapters 6 and 7 and can be crassly considered as emphasizing our need to “shut up” (Chapter 6) and “put up” (Chapter 7). Of course “Silence” is far deeper than keeping our mouths closed, and “Humility” includes far more than toleration. But, in spite of this, prayer-as-perfection-in-community (and through community) is enhanced through the cultivation of silence (“waiting on God”) and the disciplines of humility (“wanting for God”). Although we have a wide-array of tools from which to draw (RB, Chapter 4), the children of the Lord’s school are perpetually clothed in silence and humility as prerequisites. One of the greatest needs of the church today is to experience and express practical holiness. Unfortunately, as our society no longer seems to hold at the center, as we become more fractured and distant, as we become ever-more removed from community life and living, holiness is not provided the practical “soil” in which to grow. Holiness (with the rare exception of the time-and-community-tested Hermit) requires community. If prayer is a means of perfection, it needs the stability of a community where prayer can be practically exercised (exorcised???) in life. The RB, its priorities, principles and practices, provides us with such an environment.